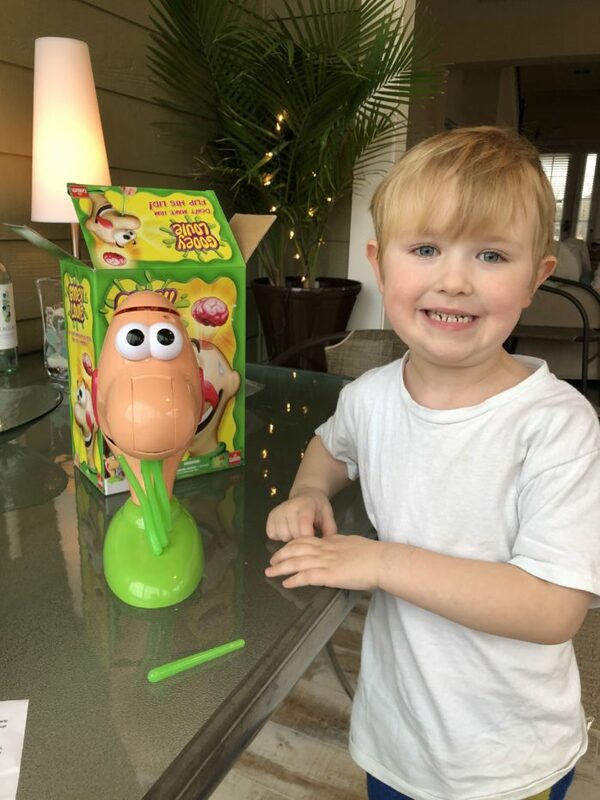 I just wanted toshare a couple of fun photos of my 5 year old nephew playing with the game Gooey Louie over the weekend. 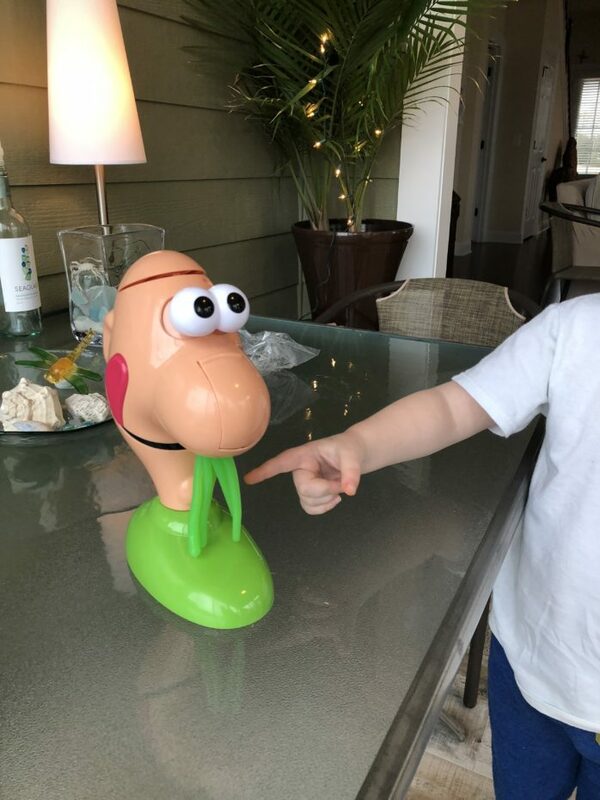 This game is hysterical – you have to pull boogers out of his nose to play the game. One person will pull “the” booger that causes his brain to pop out of his head and shoot into the air. My guys played this with their cousin and you can imagine the laughter that followed. Anything involving boogers or other bodily functions/parts is generally a win when it comes to boys! 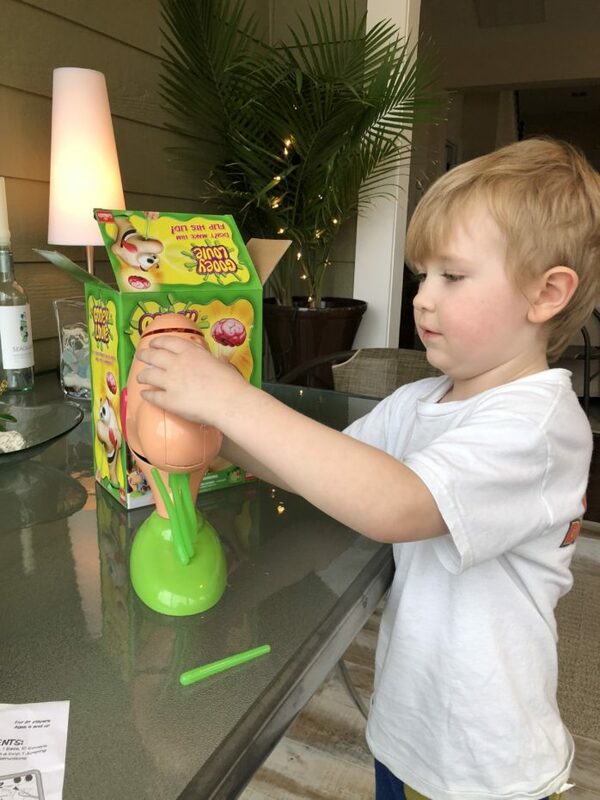 Definitely entertaining and something to keep the kiddos occupied for a bit! You can findGooey Louieon Amazon.